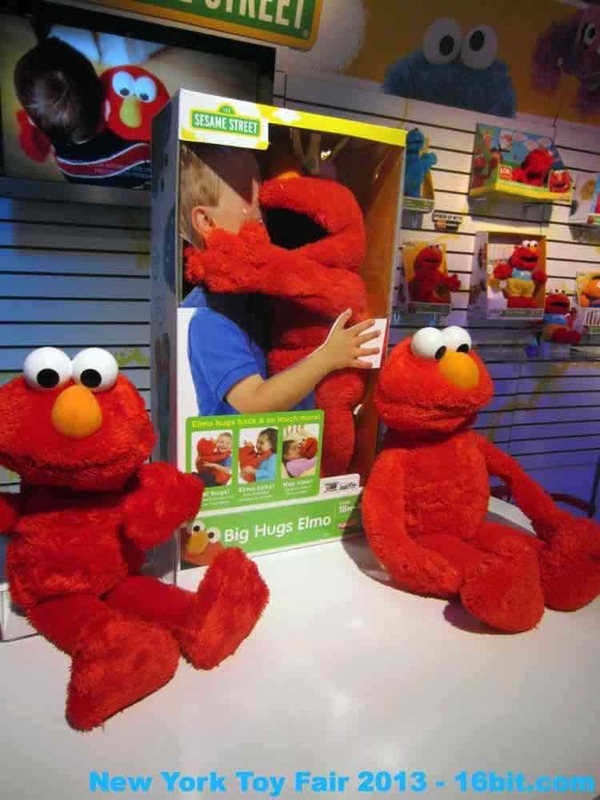 Elmo's Back! 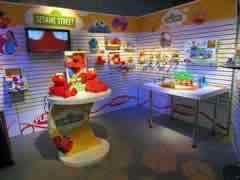 I didn't get a lot of Sesame Street shots due to a time crunch, but I did snap a couple of pictures (and a video) of Big Hugs Elmo, a new plush Muppet with a decent amount of interactivity and numerous motion sensors. The lady running the Big Hugs Elmo kiosk was kind enough to let me take a video, so here it is! Here's a fun toy industry fact I'll give you for free: some of the people running these demos are employees of the toy companies (marketing people, designers, etc.) and others are actually hired actors and actresses. I honestly had no idea this was even a gig you could get until a few years ago when a co-worker met someone he knew from his days as an actor, and later someone else recognized an actor from Dexter doing a wonderful presentation in another showroom. These men and women are genuinely trained professionals, which makes a lot of sense once I thought about it. Being able to do a two-minute presentation, on your feet all day, and keep it up with a smile is tough work and this sort of thing amazes me. Nicely done, Ms. Person Whose Name I Didn't Catch!